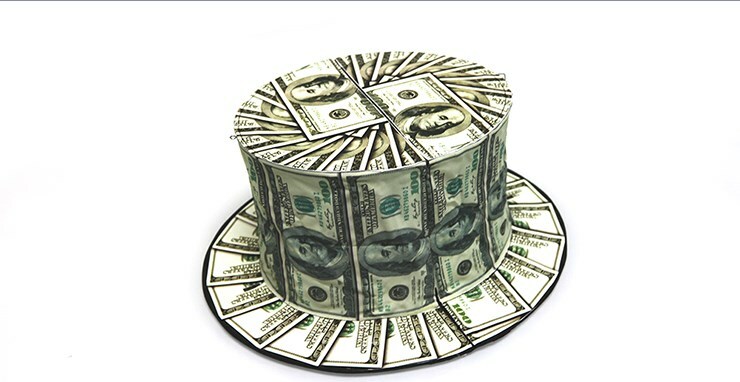 The performer produces and displays a large fan of money. 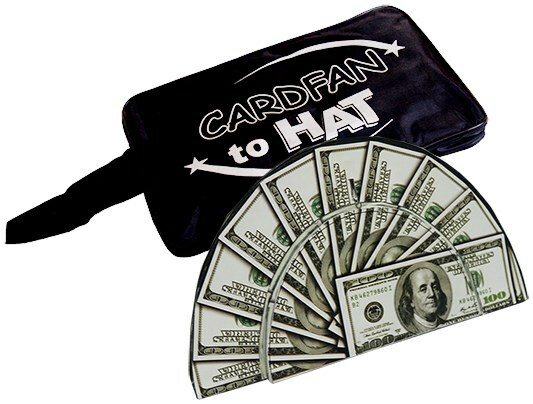 He tosses the fan of money into the air and it transforms to a magician's top hat, decorated all over with money! 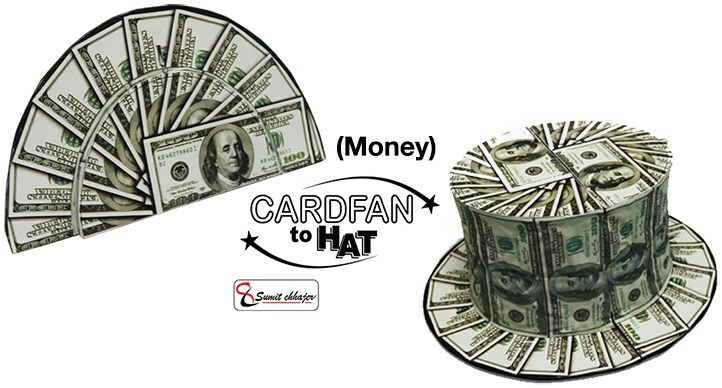 He can wear the novel top hat or use it as a container for the props in his act, like cards, balls and silks.